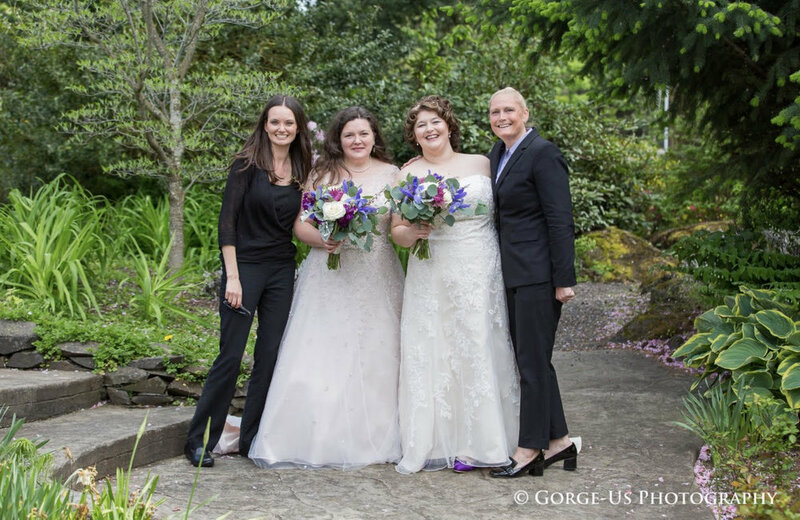 Bonnie and Denise decided on a May destination Wedding from Alaska and their timing was perfect! 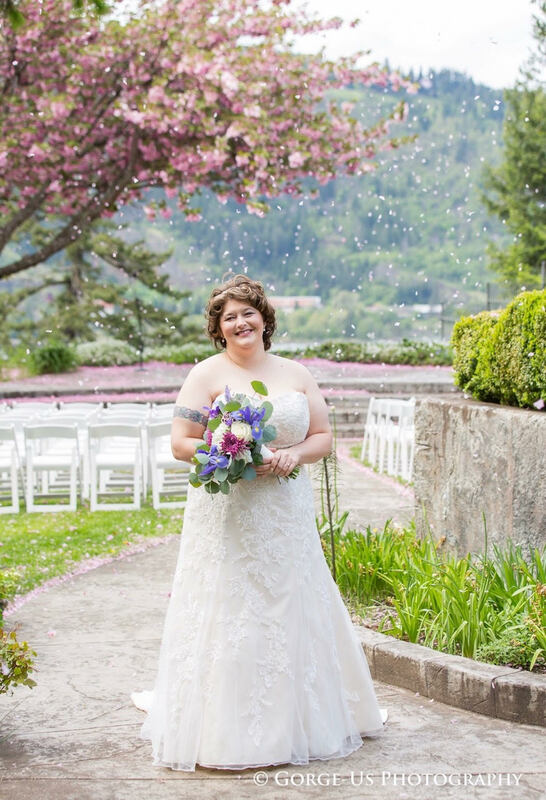 With the Cherry Blossom in full bloom, no rain, and a wonderful light breeze their wedding went off without a hitch! 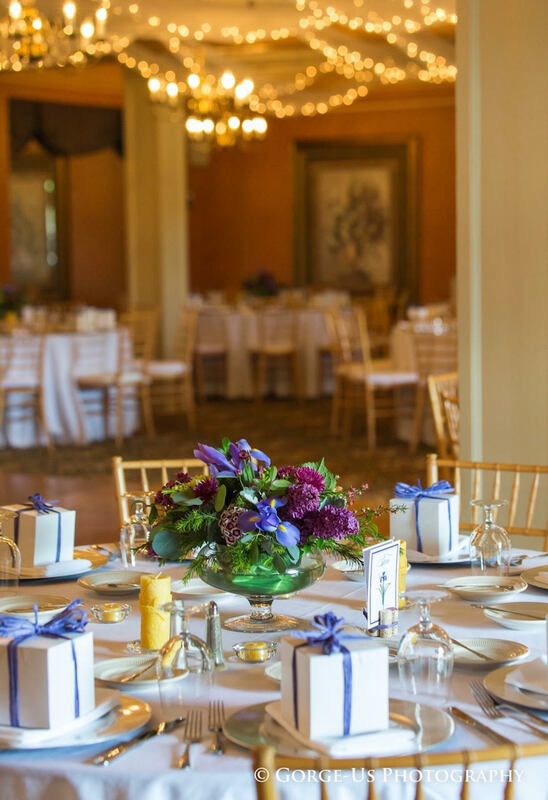 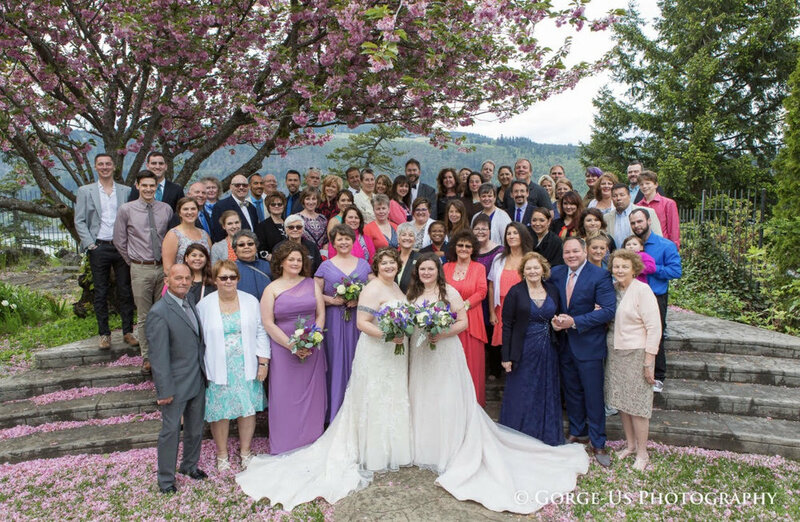 Filled with beautiful deep purple and magenta flowers (provided by Lucy's Informal Flowers), a wonderfully catered meal prepared by the Columbia Gorge Hotel & Spa, stunning picture taking by our very own Jen Gulizia, and fun and dancing for all, this year's May 5th Wedding was magnificent! 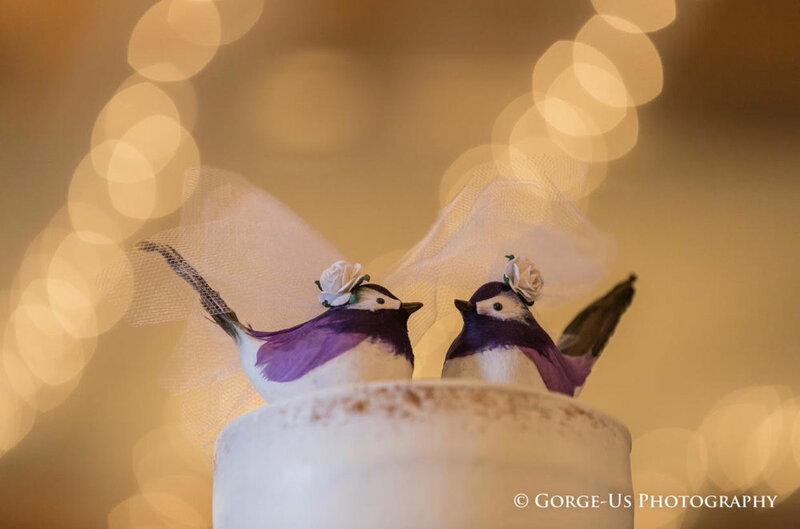 Congratulations Denise & Bonnie! 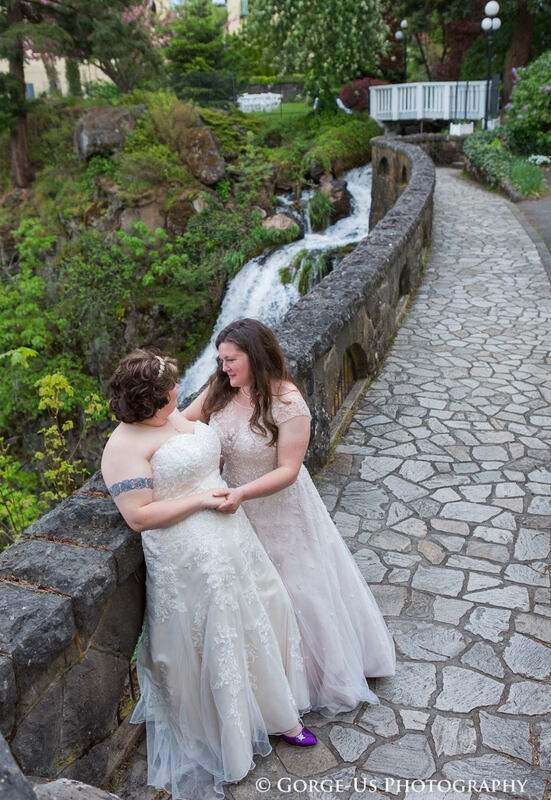 Thank you for traveling to the Columbia Gorge Hotel & Spa for your Special Day! 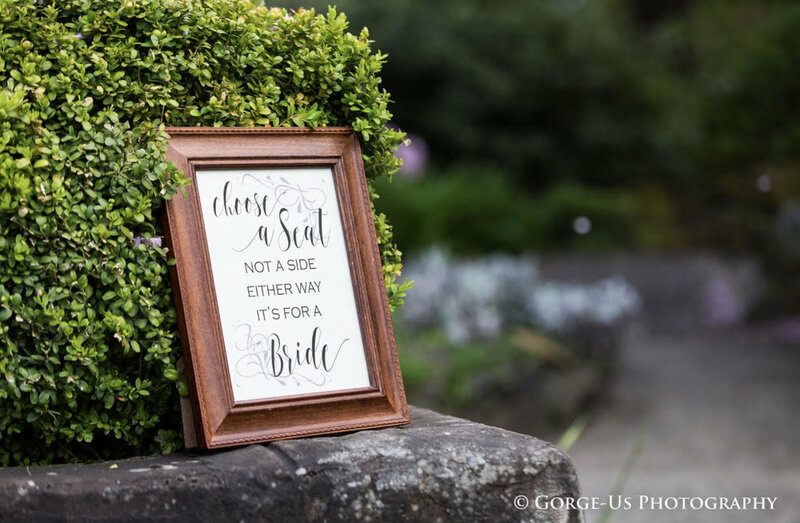 It was quite a stunning event!